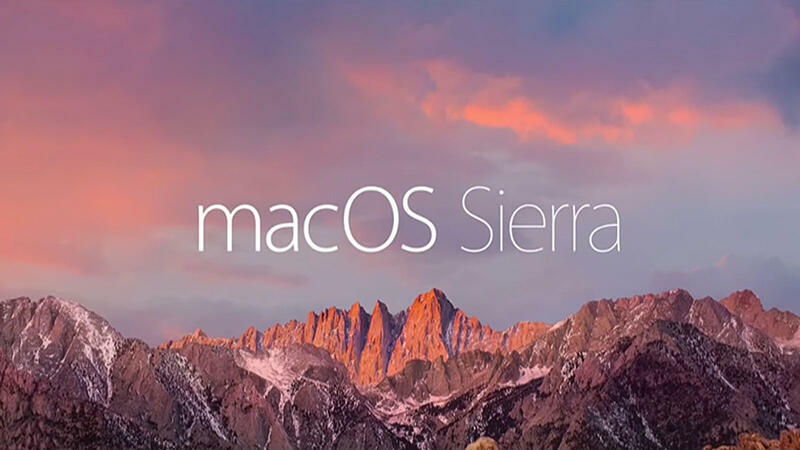 After 15 years as OS X, Apple is changing its desktop operating system's name to macOS. With this update, all four of Apple's operating systems will share a common naming protocol. There's iOS, watchOS, tvOS, and now macOS. This first iteration of macOS will be known as Sierra, named after the Sierra mountain range in California and featured below. The most obvious new feature of Sierra is the introduction of Siri to the desktop. For Apple iPhone users familiar with virtual assistant, Siri on the Mac is a simple progression. Siri on the Mac can be used to search for specific files, emails, photos using natural language queries. The function already exists with Spotlight but this is a voice-enabled version. The Siri icon can be placed in the dock or as a button in the top right corner of the desktop screen. Results are pinned to the same corner of the screen, can be added to Notifications Centre and can be dragged directly onto the desktop or into an email. Siri can be asked to locate a specific document worked on last night, add a meeting to the calendar, or start a FaceTime call. System settings can be adjusted such as "Turn up the volume" or "increase the brightness of my screen"; reminders can be set, and the Photos library searched. Ask Siri to access driving directions from Maps, compose emails, play specific music tracks or playlists from iTunes, change system settings, and even change your wi-fi settings with Siri. The only awkwardness is the lack of an 'always listening' mode on macOS. On iOS saying "Hey Siri!" will cause the iPhone to spring to life in your pocketbut not your desktop. Siri has to be accessed by a keystroke, which is a little ironic. Overall, how many people will feel comfortable talking to their desktop remains to be seen, however the feature offers a simpler UI as we no longer have to learn shortcut keys or how to navigate by keystroke. The opportunities to expand Siri on the mac will include the Home app control smart home appliances, reportedly due for launch by Apple later this year. With macOS Sierra, files saved on the Desktop or within the Documents folder are automatically synced across any Mac, iOS device or even PC. Files can be accessed on the iPhone and iPad in the iCloud Drive app and on iCloud.com; or the iCloud for Windows app. Logging into a second Mac users will find files are automatically on the Desktop and in the Documents folder, exactly where they were saved on the first Mac. This feature recognises that most people commonly save documents to their desktop while in draft form, only to realise later they needed to save them to their iCloud Drive to access them on the go. With Universal Clipboard, the contents of your clipboard are available across all your Apple devices via iCloud. You can easily copy and paste text, images, photos and video between your Mac and your iPhone and iPad. There's also a new optimised storage feature in iCloud, which frees up space when the Mac starts getting full, by automatically storing infrequently used items in iCloud. macOS will also deliver reminders to delete used app installers, and will clear out duplicate downloads, caches, logs and more. For Mac users who have experienced the intense frustration of not having enough storage and the time-consuming task of making space, this feature will be a Godsend. The only note of caution is the need to have sufficient iCloud storage and also when macOS uploads the files to the cloud, they have to be redownloaded to the desktop, which will require internet access. macOS Sierra moves away from windows to tabs. It takes the popular Tabs feature from Safari and makes it available across Mac apps that support multiple windows, including Maps, Mail, Pages, Numbers, Keynote and TextEdit, and even third-party apps such as Word, Excel etc. With Tabs you can browse multiple locations in Maps without losing your place, copy and paste between Pages documents in full screen, or quickly jump between multiple email drafts in Mail. Working in Word or Excel on a Mac currently means constant shuffling between different windows. This time-saving feature will make this practice a thing of the past as, at a glance, all windows are visible in the tabs bar. This feature takes multi-tasking to a whole new level. macOS Sierra will float a video from Safari or iTunes in a window over the desktop as you work. The video can be resized, and dragged/pinned to any corner of the screen. The video doesn't move when the user switches spaces, so never missing a frame. That means users will be able to watch a video while still working on your important work project in the background. Might be handy for keeping up with live sports or missed tv episodes while working! The new Memories feature in Photos helps to rediscover favorite and forgotten moments deep in the Photos library by automatically creating curated collections of occasions like a first birthday party, wedding or family vacation. With new advanced computer vision, Photos now understands the people, places and things inside the images using on-device facial, object and scene recognition and location information to group images into albums. The People feature automatically groups photos into Albums based on who is in them. Places now displays photos on a world map defined by where they were taken. And, perfecting photos is now enhanced with the new Brilliance tool, which pulls in highlights and adds contrast to images.